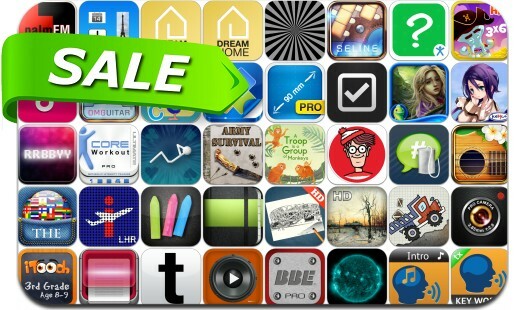 No need to pay full price to get awesome apps, just check out these 45 iPhone and iPad apps that are on sale right now. This app deal alert includes Where's Waldo? The Fantastic Journey, Lumiè, Otherworld: Spring of Shadows, Do it, Futulele, RipDeck, uCamPro HD, My Measures & Dimensions Pro, iChalk Mobile, SonicMax Pro, Site Audit Pro, RPG Aeon Avenger, Instant Sketch and many others.